Yes, we are moving at the end of this month. I cannot take all my yarns, books, needles etc etc with me hence the mega sale. I am taking all current Rowan yarn with me along with some Filatura and all the Artyarns. 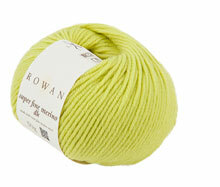 I have the Autumn/Winter Rowan ordered but have ask for delivery to Ireland rather than the UK - less to take with us! I am having the new Rowan Magazine and books delivered here and can ship from August 15th. We are moving to Co.Mayo to a house that was built to be let to fishermen. It has five bedrooms all with their own bathroom and 30 acres of land and the River Moy as a boundary. It is remote and away from busy roads and traffic which means I can let my cats out without fear of them being run over. Who knows? I might do knitting holidays! It is going to take me a while to get set up with broadband and the Irish postal service. I hope to be selling again from Ireland in late September.